When you choose a private crewed yacht for your vacation, you can make almost anybody happy, because they accommodate more interests, whims and wishes than any other type of vacation. But there are so many yachts to choose from – especially in the Mediterranean and the Caribbean – so how do you find the one that will meet all your needs? Which yacht has all the water toys you want and which one has a dive instructor? Which crew loves having kids on-board and who prefers adults? Which one has a gourmet chef and a Jacuzzi on-deck? For travel arrangements and hotels your travel agent is the expert, but when it comes to chartering a yacht you need the advice and specific knowledge of an expert charter broker. 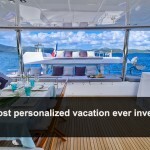 You can find some of the crewed yachts on the internet and contact them directly, but they would obviously try to make you book their boat whether it is the right fit or not – that is human nature. Things can go wrong: the scariest example I have heard of was a family who walked off the boat half way through the charter with no refund. They had booked directly with the owners and didn’t have a broker to protect their interest. The most important thing to the broker will be that you get the right yacht, no matter who owns it! When you are on-board you are also entitled to the crew’s full attention, not sitting around waiting while they are on the phone trying to book the next charter. 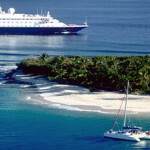 Private catamarans, sailboats, motor and mega charter yachts are small individual businesses. 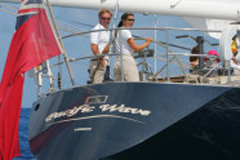 The charter brokers are their sales force and therefore the link between the yachts and the clients. To do a good job of matching the client with the right yacht, the charter broker must develop a personal knowledge of the yachts they choose to represent and to facilitate the process, boat shows are hosted in several locations every year. At these shows the brokers interview the crews and inspect the yachts to get facts and build an impression which will later help them match you with the right one. All broker work with the same prices, so it all comes down to who has the most knowledge and experience and offers the best service. Their fee is included in the price so the charter broker is your free shopping expert! Spend some time choosing your broker who will also be your guarantee that you are booking a recognized charter yacht and not somebody who will disappear over the horizon with your money. Has your broker actually been to the area where you want to go? How well do they know it? Is he or she even a sailor? How well do they know the crew and yachts? Do not be afraid to ask for recommendations! After you have found the right broker, the rest will be easy. Give the broker as much information as you can. Let them know if you are looking for specific activities and what you want to do in general. Do you have certain dietary requirements like kosher, vegan or gluten-free? The broker will select several options for you and send you these yachts’ electronic brochure with photos, technical specifications, floor plans, list of water toys, crew profiles and even menu suggestions, from which you can make an informed decision. After you have selected the right yacht and crew, the broker will reserve it while you sort out the contract and payment details. This industry operates with standard contracts which the broker will set up and e-mail to you for your signature. As a general rule 50%, of the charter fee is due when you book and the balance is due 2 months before the charter begins. To insure that everything will be the way that you want it, your broker will also ask you to fill out a preference sheet asking for food, allergies, likes and dislikes, desired activities, etc. This will be forwarded to the crew who will use this information to plan the menu, possible itineraries and other details which will make your charter special. 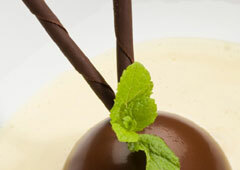 The crew will also contact you directly to make sure that everything is to your satisfaction. As you can see, nothing is left to chance! The broker will be behind you all the way making the booking process easy, safe and comfortable. To learn more about how to charter private crewed yachts, please CONTACT US via email or call 704 257 4766. We will answer all your questions!